The Rightline Gear 110730 is a clever truck bed tent. There are many ways to car camp, and not surprisingly there are many tents designed for the purpose. We’ve done our best here to gather information on the best car camping tents for different styles to share. On this page you’ll find information on tent options for family, group, and solo car camping. You’ll also get an idea of the variety of car camping tent models, such as cabin tents, truck bed tents, and camping tent cots. Like we said, there are a lot of ways you can car camp! In the table below you can get a quick overview of the many car camping tents available. Use the table to compare tents by square footage, center height, price, and average rating. We hope this is useful for deciding which tent will work best for your car camping plans! Continue reading below the table to get more details on a few of our favorite car camping tents. Hopefully the comparison chart was useful for getting a sense of the types of car camping tents available and you now have a better idea what will work best for you. Below we go into detail on a few of our favorite car camping tents in different styles for those who would like a more in-depth picture. 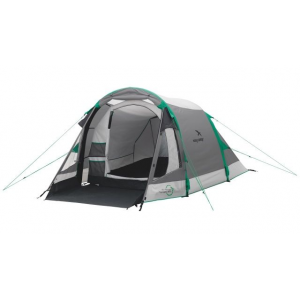 The Ozark Trail 10-Person 3-Room XL Family Cabin Tent is a great option for large groups. Lets start with some highlights of this tent. Firstly, each room of the tent is large enough to fit a queen sized bed. The tent includes three doors so each room has its own door. It also features six windows for extra ventilation. The tent floor space measures 10 feet by 20 feet and has a center height of 6.5 feet. 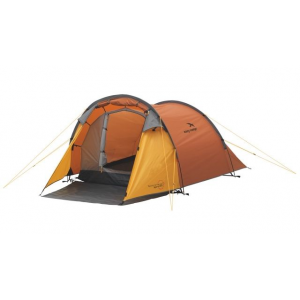 Reviewers like that the tent is easy to set up and that it is roomy. They also note that the seams are sealed well so the tent is dependably rain-resistant. Most feedback for this tent is very positive, but one common complaint is that this tent does not stand up well to wind. Otherwise, this is a fine car camping tent for a group. The Rightline Gear 110730 Truck Bed Tent is designed to fit standard sized 6.5 foot truck beds. The concept for this tent is pretty simple. It needs to be set up in the truck bed and then secured to the bed with polypropylene straps. That’s it. 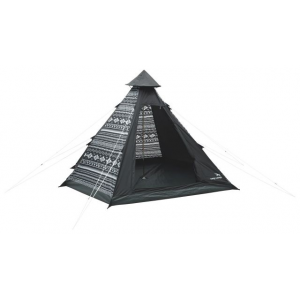 The tent has two gear pockets, a lantern hanging hook, and glow-in-the-dark zipper pulls. It also has a sky view vent and includes a rainfly. Reviewers like how easy this tent is to set up and take down; it has color coded poles to help campers setup quickly. They also note that the tent is stable even in windy conditions. 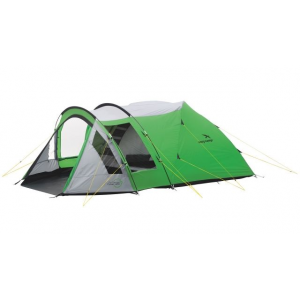 Overall, reviewers with trucks feel that this is a convenient and dependable car camping tent. 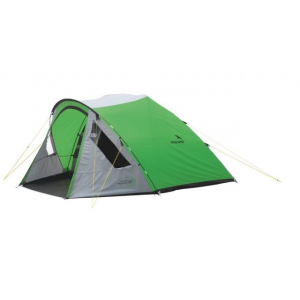 One feature of the tent that can be a pro or con depending on your needs is this tent is floorless. Another potential drawback reported was the straps slightly scratched the paint of some reviewer’s trucks. Just be aware of these things if you’re considering this model. If you’re interested in seeing more tents like this, check out our article focused on truck camping tents. If you’re planning on being in a tent alone, the Kamp-Rite Oversize Tent Cot could be a good fit for your needs. Advantages of a cot camping tent revolve around the tent bottom being elevated. This feature is beneficial in wet conditions and also for making it harder for critters to get inside the tent. Camping tent cots also tend to make for a more comfortable sleeping environment compared to sleeping on the ground in traditional tents. This cot measures 7.5 feet long by 2.6 feet wide, providing ample space for a single person. Another cool feature of this cot is that it can convert into a lounge chair for use during the day. The cot folds to a 32 inch by 36 inch by 6 inch rectangle and weighs 25 pounds. Most feedback for this tent cot is positive. The most common complaint, though, is that the tent does not vent well when the rain fly is on.